Every medical procedure or treatment has its risks. Whether the risk is as insignificant as nausea or drowsiness or as serious as the potential for allergic reaction or infection, no medical procedure from getting your annual flu vaccine to a heart replacement surgery has the potential for causing safety concerns. So, based on this philosophy, yes, medical imaging can have risks. 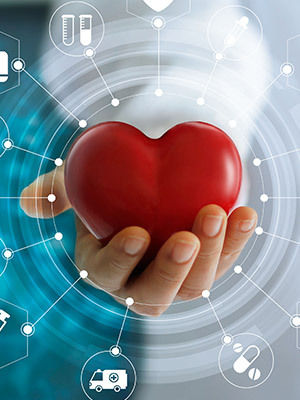 However, the medical community, as a whole, practices the safest techniques and continually evaluates the risk versus the benefits to recommend the best options for patients. And, generally speaking, medical imaging is very low on the scale of harmful or dangerous medical procedures. To ensure that you are fully informed of all of the risks associated with your medical procedures, we invite you to join us in a discussion of the potential dangers of medical imaging tests. X-ray and computed tomography (CT) scan machines use radiation that is passed through and absorbed by the body at different rates by different parts of the body. These differences in the radiation’s ability to pass through the tissue are what produces an image. Your body is exposed to radiation for a fraction of a second and the amount of radiation in a typical x-ray is equivalent to a few days’ worth of natural radiation that you are exposed to in the environment. Being exposed to the radiation does pose a risk of cancer, however, it is less than a one in one million cancer. Some x-rays will require the use of a contrast agent to help highlight specific areas of the body. Barium may be either swallowed or given as an enema, or both. Iodine may be injected into a blood vessel to highlight the heart, blood vessel, kidneys, or bladder. When contrast is used, it poses a risk for discomfort and allergic reaction. Barium can cause nausea and iodine can cause anaphylaxis in those who are allergic to iodine or shellfish. Those who have known kidney issues should inform their doctor before using contrast dyes. MRI machines use giant magnets to create a strong magnetic field to produce detailed images of all of the body’s internal structures. This process is painless and safe for most patients. However, for those with any metal inside the body, alternatives to MRI should be used. Metal artificial joints may cause significant image distortion and other smaller metal — pacemakers, bone plates, surgical clips, or bullet fragments — can shift in the presence of the magnetic field and cause injury to the patient. Patients who suffer from claustrophobia may suffer extreme anxiety and discomfort inside a closed MRI tube. The procedure itself is safe for the claustrophobic patient, but the risk of a panic attack may limit the patient’s ability to tolerate the procedure. If available, an open MRI machine offers these patients a more tolerable MRI option. Ultrasound uses sound waves transmitted through the skin to create images. Ultrasound is the safest known medical imaging modality and can be used by nearly every patient with little to no risk. Ultrasound is safe for even unborn fetuses and those who cannot use other modalities. Generally, most medical imaging modalities are safe. There are specific situations where certain patients should not use different modalities, but the risk versus benefit should be evaluated before discounting the procedure. For those at risk of being harmed by each modality, the option of another imaging technique should be evaluated. For all of your medical imaging needs, the team at Touchstone Imaging Center is proud to offer a variety of imaging options to suit your needs. For more information or to schedule your imaging appointment, contact us today! 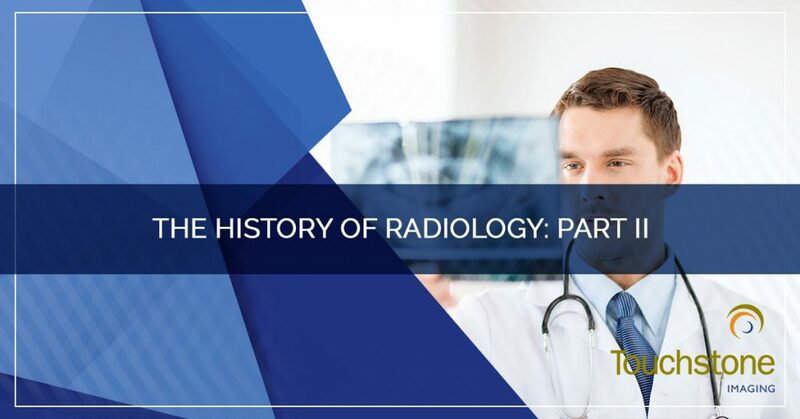 Welcome back to our blog series regarding the history of radiology! In our first blog, we covered the early days of medicine, and how this essential part of life came to be. The shift from the religious to the scientific was a significant one and had lasting impacts that laid the foundation for modern medicine. Whether you need arthrography services, a bone density scan, an x-ray, MRI, or CT scan, our medical imaging center in your area is your top choice for all radiology services. Our team of radiographers is comprised of incredibly talented and trained specialists, all of whom are dedicated to best serving you. Call Touchstone Imaging to get started, or find a location near you online. And, in the meantime, learn more about how radiology came to be! The scientific method contributed full force to the progressive developments of the 19th century. These were the days of Darwin and Mendel, of cell theory and pathology. And of course, a breakthrough in the realm of medical technology, with advancements and tools that continue to be utilized today. In 1815, the first stethoscope was invented René Laënnec, giving medical professionals everywhere a quick and easy way to check the heartbeat and aid in diagnosis. By 1874, a British scientist started studying electrical impulses of the brain, which later contributed to the modern electroencephalogram (commonly known as the EEG). The technologies during the 19th century were vast and varied—and not only limited to the medical world. But in terms of medical advancements and the x-ray, these inventions and discoveries were on their way. In 1898, Marie Curie and her husband Pierre discovered the element radium, which further contributed to the developments of x-rays as we know them today. Specifically, Marie Curie was able to separate radium from radioactive substances, which allowed for more detailed studies of the material. This developed into x-rays because the rays could pass through many surfaces—including the human body—and could cast shadows of solid objects. The discovery of x-rays eventually made its way into the medical profession, leading to more in-depth looks into the workings and mechanisms of the human body. In today’s world, the x-ray is just one of many forms of radiology, all of which contribute to modern medicine as we know it. There once was a time when humanity thought illness and disease were supernatural phenomena, something that had to be cast away and that was brought on by evil forces. Nowadays, we know that disease and illness and bacteria are a part of life but are something medical professionals and researchers work tirelessly to understand and manipulate. To think of the progression from our earliest ancestors, all the way to the invention of x-rays is nothing short of marvelous. The best part of these medical advancements can be found in the imaging services offered at Touchstone Imaging. From arthrography to x-rays, from ultrasounds to bone density scans, MRIs, and CT scans, you can find the expertise and professionalism you deserve at our medical imaging clinic. Serving Texas, Colorado, Oklahoma, Nebraska, Florida, and Arkansas for over 25 years, our story is like that of modern medicine—dedicated to helping others, and being at the forefront of science and technology. Find everything you need in radiology services from Touchstone Imaging—we look forward to working with you!